The public beta of iOS 11 is now available for iPhones and iPads. Anyone who wants to play with iOS 11’s new features can install it today. However, we recommend backing up your device first so you can easily restore the stable version of iOS 10 afterwards. Before we proceed to even single step into this tutorial, let’s be perfectly clear: you’re signing up for a beta release. This means you’re getting unstable software. There will be crashes, frozen apps, quirks, and other hiccups. This stuff isn’t ready for prime time. With that in mind, if you only have one iOS device and you rely on it for critical things like work-related apps, keeping in touch with hospitalized family, or any number of stability-is-key scenarios, you should wait for the public release of iOS 11 proper later in 2017. Seriously, we mean it: Don’t install this on your primary device. If you have an iPhone you use for everything, don’t install it on that iPhone! But, if you have an old iPhone or iPad you don’t use much and you’re ready for some bugs and crashes, then by all means proceed. You’ll get to try out all the features (and provide feedback on them) before the general public. 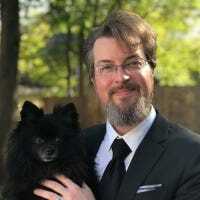 Ready to volunteer for unpaid beta testing? Let’s jump right in. To follow along, you need a few simple things. First and foremost, you need a compatible iPhone, iPad, or iPod Touch. Let’s break it down by device category. In addition to a supported device, we also strongly suggest you have a Windows PC or Mac running the most current version of iTunes in order to do a complete backup of your device in its iOS 10 state. This will allow you to downgrade back to your current iOS 10 state without losing any of your data. Why back up to a local machine? Even with a fast connection, pulling down a full iCloud backup can take a very long time for a phone with a lot of apps and storage. Further, you never have to worry about running out of space or your backup being overwritten when you have the extra space of a hard drive (compared to the very limited amount of space allocated to the free iCloud account). If you want to wipe your phone and go back to iOS 10, the process will take a few minutes if you have a local backup and, potentially, hours and hours if you have to do it over the internet. In case we haven’t made it very clear by this point: back up your device to iTunes before proceeding. Don’t remember how? Don’t worry. These days, many iOS users never even look at iTunes, so you’re probably not alone. To back up, run iTunes and plug in your iOS device with the sync cable—that’s the USB cable you use to charge your device. You may need to click “Allow” in iTunes and then tap “Trust” on the iPhone or iPad if you’ve never connected it to iTunes on your computer before. Look for the device icon near the upper left corner of the iTunes interface and click on it. In the device “Summary” page, which is open by default when selecting the device, scroll down to the “Backups” setting and check “This computer” as the backup location, then check “Encrypt iPhone backup”. If you don’t encrypt your backup, you’ll lose all your account passwords saved in Safari and other apps, all your Health data, and all your HomeKit data and settings. Click “Back Up Now” to start the backup. Even with a particularly full iPhone, the process shouldn’t take long. We’ve seen half-full 64 GB iPhones back up in a little over 10 minutes. When the process is complete, you’ll want to archive the backup to ensure iTunes doesn’t automatically delete it. Click iTunes > Preferences on a Mac, or click Edit > Preferences on Windows. Click the “Devices” tab and locate the backup you just created. Right-click or Ctrl-click it and select “Archive”. This will prevent the backup from being overwritten so you can restore it in the future. It will be marked with the date and time it was archived. Speaking of particularly full iPhones, if your iOS device is packed to the gills with stuff, you may not have room for the iOS 11 update. While you’re waiting for the backup process to finish, take a peek at the bottom of the device panel in iTunes and see how much free space you have on the device. 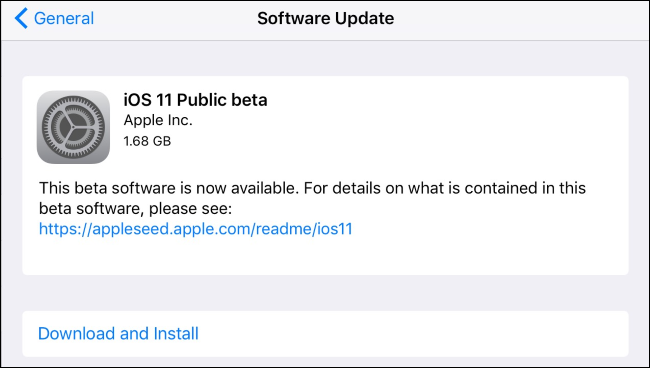 The iOS 11 beta update is approximately 1.7GB in size, and requires about 1.5GB of temporary space to use during the upgrade process. It would be wise to, at minimum, round those two numbers up, add them, and aim for 4GB of free space on your device before you upgrade. If you’re tight on room, now is a great time to delete something with a big footprint that is easy to put back on later (like a mobile game with a huge storage requirement and no save files, or a bunch of audiobooks you can re-download after the fact). Check out Settings > General > Storage & iCloud Usage on your device and tap “Manage Storage” under Storage to see what’s using up the space. 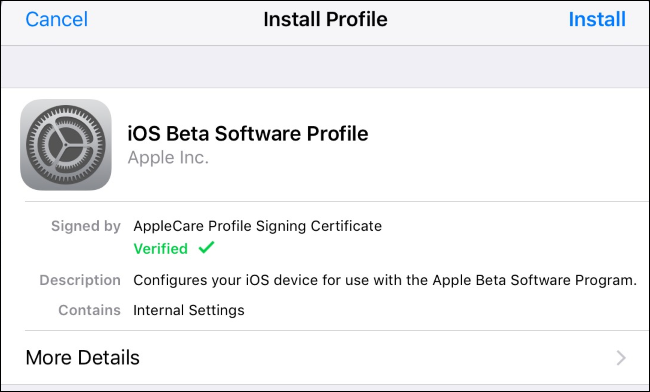 Once you’ve determined that you have a compatible device and backed it up, you’ll need to sign up for an Apple Beta Software Program account. Signing up is as simple as heading to the website, and signing in with your regular Apple ID, and clicking “Accept” to accept the agreement and confirm you want to join the program. Don’t worry: This won’t automatically update all your devices to beta software. This just makes you eligible to upgrade to beta software through the below instructions. Next, it’s time to update to iOS 11 beta. The public beta update is an Over The Air (OTA) process, so make sure you’ve got your device fully charged and, preferably, hooked up to a charging cable. On your iPhone or iPad, launch Safari and navigate to https://beta.apple.com/profile. 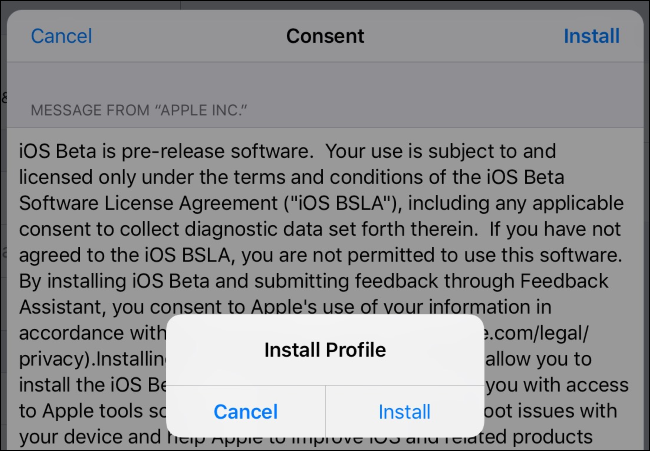 If prompted, log into the same Apple account you linked to the beta testing program. Scroll down, look for the step “Download Profile”, and tap the “Download profile” button. You’ll be prompted to install the profile. Tap “Install” in the upper right corner. If your device is secured with a PIN, you’ll be prompted to enter it. Next, you’ll see a big block of legalese. Tap “Install” in the upper right corner again. Finally you’ll be prompted to restart your iPhone or iPad. Tap “Restart”. Note: This does not install iOS 11, it merely updates the profile on your phone so that you are eligible for the OTA update. With the phone or tablet booted back up and with a healthy battery life, navigate to Settings > General > Software Update. When you tap it, you should see an entry for “iOS 11 Public beta”. You may see a slightly newer version if you’re reading this tutorial once further beta updates have rolled out. Enter your PIN, if applicable, and then accept another round of agreements. Once you’ve done that, the download will start. Be prepared to wait, especially if you’re following along with this tutorial around the release of a new public beta version. It may take an unusually long time to download the update if a lot of people are attempting to download it—it took our normally speedy broadband connection a half hour or so. Sit back and relax while the update installs and, if you haven’t done so already, plug your phone into the charging cable to play it safe. Also, be patient and leave it be: This isn’t a 10.2.X to 10.2.Y update, this is a major version update. It will take a while to install. When your device finishes updating and you’re back at the lock screen, key in your PIN to get started. You’ll be prompted to accept some more agreements (iOS software is, apparently, agreements all the way down). 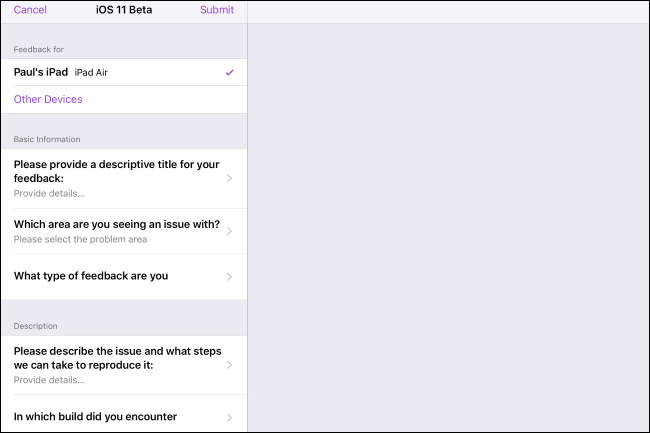 Then, you’ll be prompted to participate in various data collection programs like error reporting to Apple and app developers. Even if you normally lock down those kind of privacy settings, we’d encourage you to turn them on (at least while you’re using beta versions of iOS). The whole point of the beta program is for curious/dedicated iOS users to try things out before they reach the public in a stable release. Every error report helps! You may notice that there is now a new Apple provided app on your iPhone or iPad: Feedback. If you run into weird glitches with iOS 11, you can tap on the Feedback icon and file a report using a very well laid out report form. With an extra minute of effort here or there, your bug reports will help polish the edges of iOS 11 before it is released to the public. A signup here, an “I agree” here, there, and everywhere—and, after a little downloading, you’re up and running iOS 11 months before everyone else. Now it’s time to play with the slew of new features and see how things change between now and the final, stable release.